I didn't say it was good, just that I liked it. I watched 168 movies in 2018 according to my Letterboxd Diary. You can click on the link and see the movies I watched and their ratings. 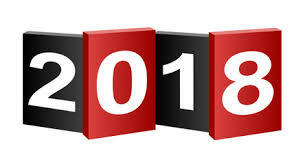 For the most part I am going to ignore the blockbusters (except A Star is Born) and focus on movies that did not have big budget advertising and that you probably haven’t heard about. All but one of these have passed the wife test and have a thumbs up by both me and the misses. 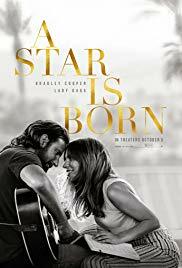 Most Likely you’ve already know about A Star is Born, and I don’t need to labor the point, but I found this to be an entertaining movie that I think most people will enjoy. Even if you loved or hated the previous versions you should check out the great singing and chemistry between Lady Gaga and Bradly Cooper. I watched this twice and found I liked it even more the second time. Rated R.
According to IMDB Flower was released in 2017, but I saw it in 2018, so here it is. Flower is a dark comedy/love story about two teenage misfits who get thrown together into the same household. Zoey Deutch plays Erica a fast talking, brash, and resourceful teen with a strange sense of justice and an underdeveloped conscience. Joey Morgan plays Luke a shy, awkward boy with low self esteem and a tender heart. Together they end up on a misguided mission for justice that is unlike any other. Warning: This is dark and not intended for tender viewers. 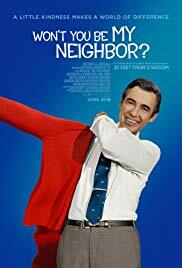 Rated R.
Everyone remembers Mr. Rodgers and his quant little neighborhood and how he helped guide and inform preschoolers, but behind the scenes was a hard working and brilliantly creative mind that had a huge effect on American culture and shaped millions of young minds. This is a must see for all ages. You won’t be disappointed. Rated PG-13. 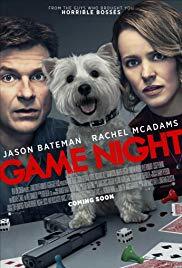 Game Night stars Jason Bateman as Max, and Rachel McAdams as Annie, a competitive husband and wife team who love playing board games with their friends. When Max’s brother injects himself into their game night, things go horribly wrong. What should have been a murder mystery adventure ends up with people getting shot and running from armed thugs. A great date night movie. Rated R.
Eighth Grade chronicles budding Youtube self-help videographer Kayla as she tries to guide others through the insanity that is middle school. 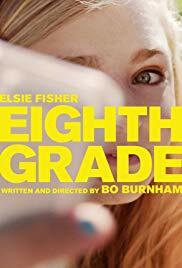 Together with her clueless but well intentioned dad we see her navigate the very embarrassing last week of eighth grade. This is an awkward and beautiful story about the pain and wonder that is adolescence. I had to cover up my eyes a few times, but I ended up seeing it twice, and loved it both times. Rated R.
Don’t worry Juliet, Naked is the name of a musical album, no clothing is removed. Instead we get an intimate look at three individuals, warts and all. 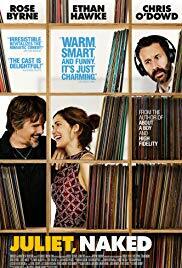 Duncan, played by Chris O’Dowd, is a musical fanboy of the highest degree who worships Tucker, played by Ethan Hawke, a musical has-been, and Annie, played by Rose Byrne, is the third side of this weird little music triangle who start this story rocking by posting a snarky comment on a fanboy webpage. Hijinks ensue and this sweet little group bounce around until you like all involved, including their quant little English villa. 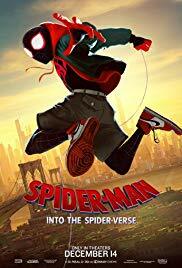 Spider-Man: into the Spider-Verse is an impressive attempt to adapt a convoluted multi-universe comic into a kaleidoscopic full length feature film, and strangely enough it really delivers. This film is fun, fast, and free-wheeling with a side of irreverent humor. If you are a fan of Marvel, or comics, or Spider-Man, then you should definitely rent this, unless you have epilepsy in which case you should probably leave it alone. Rated PG.